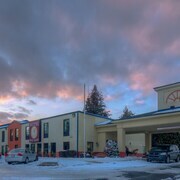 Situated on a river, this hotel is 2.1 mi (3.4 km) from Fort Decker Museum of History and within 6 mi (10 km) of Witness Monument and The Columns Museum. Delaware Water Gap National Recreation Area and High Point State Park are also within 9 mi (15 km). 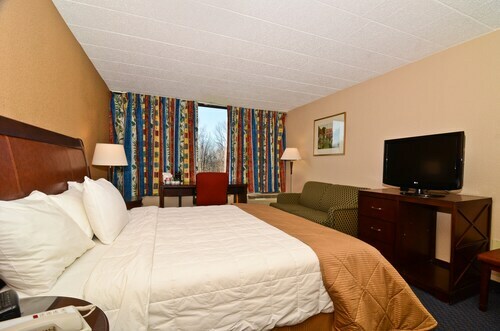 Situated in East Stroudsburg, this motel is within a 15-minute walk of Pocono Medical Center and East Stroudsburg University. Dansbury Park and Sherman Theater are also within 2 mi (3 km). 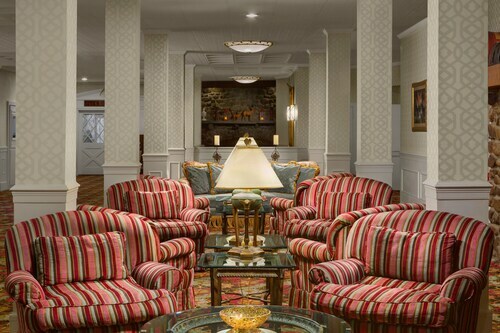 Situated in a rural location, this historic property is within 12 mi (20 km) of Jack Frost Big Boulder, Pocono Raceway, and Big Boulder Ski Area. Hawks Falls and Seven Tubs Natural Area are also within 16 mi (25 km). 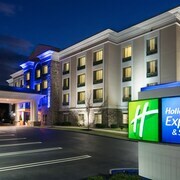 Situated in Hazleton, this hotel is 2.3 mi (3.8 km) from Community Park and 2.7 mi (4.4 km) from Laurel Mall. Eckley Miners' Village is 6.9 mi (11.1 km) away. 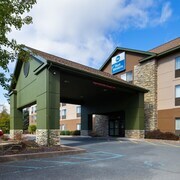 Situated in East Stroudsburg, this hotel is 1.3 mi (2 km) from Terra Greens Golf Club and 1.4 mi (2.3 km) from East Stroudsburg University. Pocono Medical Center and Delaware Water Gap National Recreation Area are also within 2 mi (3 km). The Perfect Getaway! Capple's Cozy Cabin! Fall Foliage!! Reduced Rates! Situated in Greentown, this property is 0.1 mi (0.1 km) from Lake Wallenpaupack and 2.3 mi (3.8 km) from Claws 'N' Paws Wild Animal Park. Wood Winery and Tobyhanna State Park are also within 12 mi (20 km). 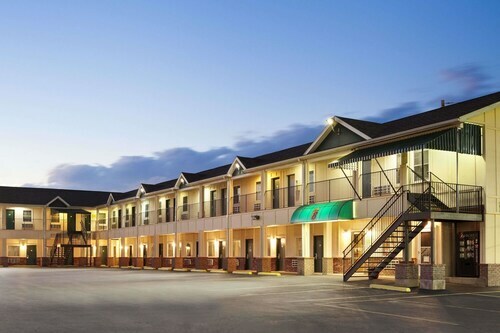 Situated in Hazleton, this hotel is 4.4 mi (7.1 km) from Laurel Mall and within 12 mi (20 km) of Community Park and Eckley Miners' Village. Tuscarora State Park and Mountain Valley Golf Course are also within 16 mi (25 km). 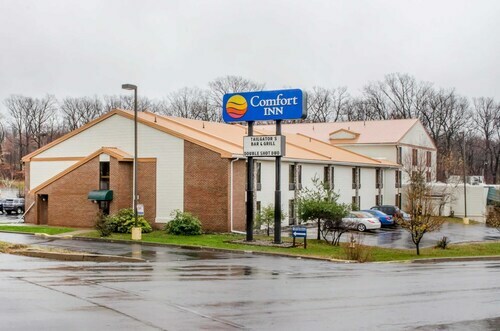 Located in the heart of Milford, this motel is within 3 mi (5 km) of The Upper Mill, The Columns Museum, and Delaware Water Gap National Recreation Area. Witness Monument and Fort Decker Museum of History are also within 12 mi (20 km). 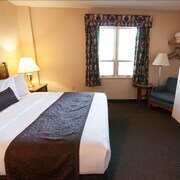 Situated in Hazleton, this hotel is 0.8 mi (1.2 km) from Laurel Mall and 1.4 mi (2.2 km) from Community Park. Eckley Miners' Village is 10.1 mi (16.3 km) away. 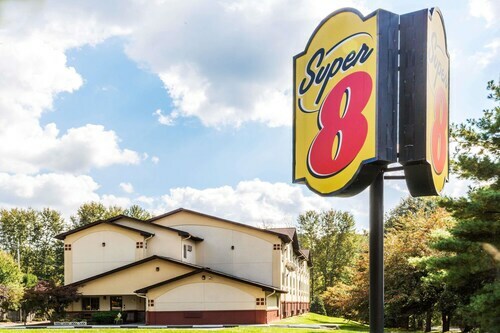 Turn your trip into a family getaway by booking a stay at one of the pet-friendly hotels in Pocono Mountains for you and your furry kids. No more sending them to pet hotels or leaving them home alone to run amok in the house. 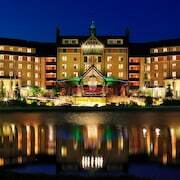 Pocono Mountains pet-friendly hotels are perfect for weekend escapes with your pooch, kitty, bird, or fish. 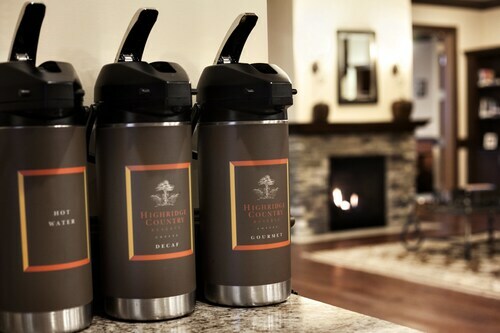 These accommodations not only welcome your pets, but they offer many services to help make your stay more relaxing. 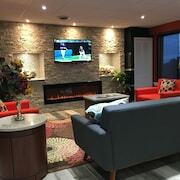 Things like on-site grooming and complimentary dog walking are some of the amenities provided. In most cases, you’ll also be near outdoor spaces like dog parks if you both need some exercise, as well as pet-friendly restaurants. Don’t ever feel guilty about leaving your beloved Maximus behind on a trip again. Travelocity wants to help the both of you enjoy a wonderful vacation together. 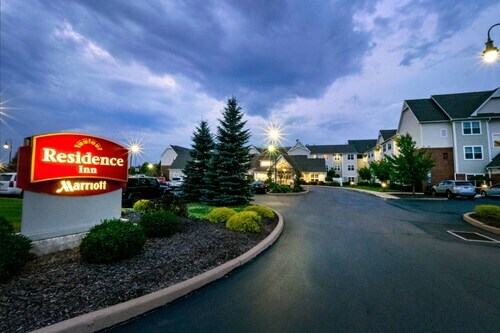 Search our extensive inventory of the best pet-friendly hotels in Pocono Mountains and book your stay now. Clean. 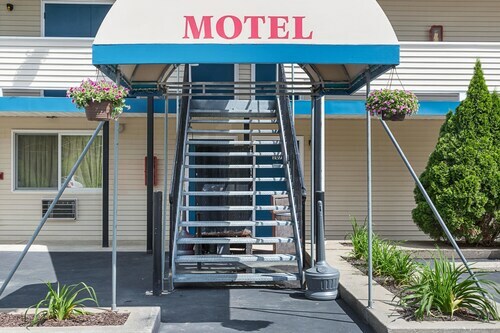 Ideal for an inexpensive motel. Close to highway. 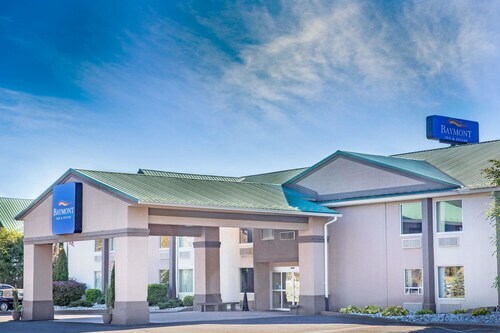 Nice hotel. We were close to everything we needed to do on our stay.